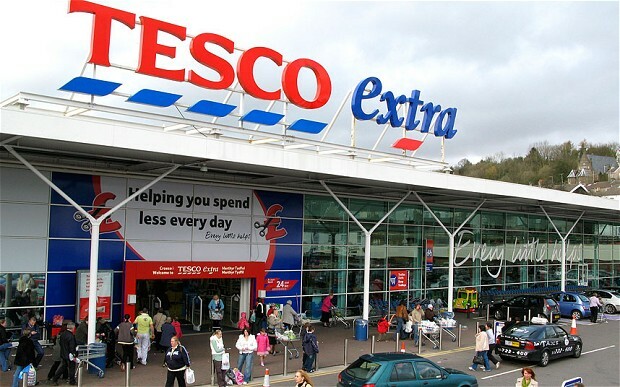 In 2011, the retail giant Tesco UK was in crisis mode. Tesco’s profit in the U.K. had fallen by about 0.5 percent—a rude awakening after having been the market leader in the U.K. and the third most profitable food retailer globally. At the same time that Tesco’s profits were falling in the UK, however, worldwide profit had actually risen 30 per cent, thanks to its Asian subsidiaries. That year, the company tasked me and my colleagues, Terry Mughan, Fiona Moore, and Christopher Voisey with identifying and assessing “the Essence of Tesco”, i.e., parts of the firm’s culture which were distinctive to Tesco and which could be transferred abroad to other parts of the firm’s global reach. 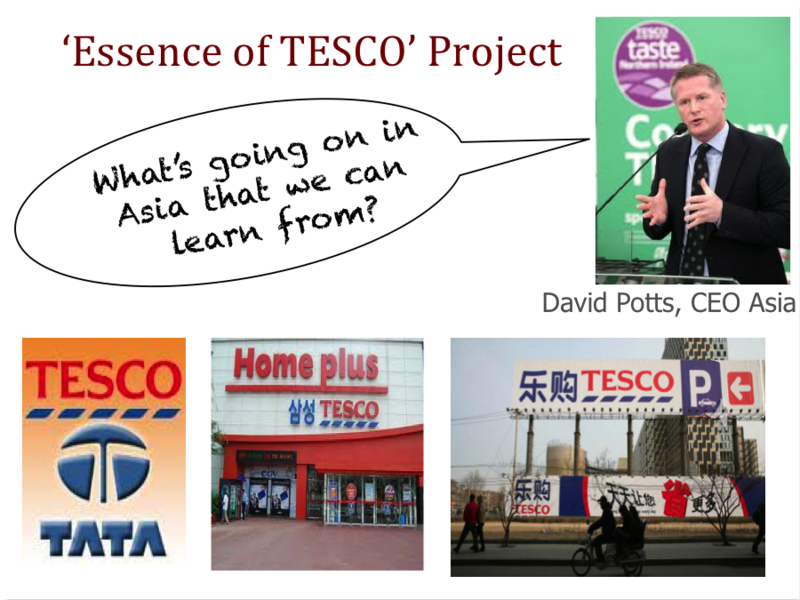 The project had the dual objectives of helping Tesco (1) understand and evaluate the core practices that comprised the essence of Tesco’s home country advantage, and (2) identify sources of learning from Tesco’s foreign subsidiaries to aid in reinvigorating its core in order to make it more competitive at home. 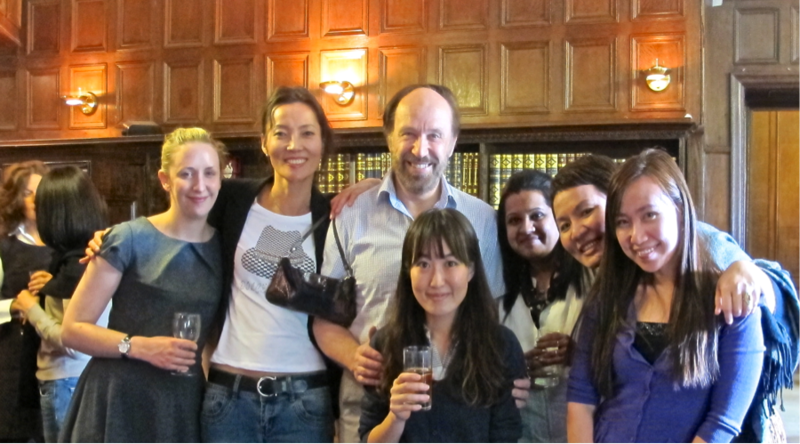 From June – October 2011, we conducted an action research project with Tesco Plc in which we trained a team of nine Asian managers in China, Korea, Malaysia, Thailand, and India, to become in-house ethnographers of Tesco UK, and participate fully in data collection and analysis. For that 3-month period they became participant-observers in 52 stores in the UK, tasked with a focus on three incisive questions: What is familiar? What is surprising? What do I want to learn more about? These questions were designed to develop the researchers’ use of inside/outsider perspective in their participant observation, and to compare and contrast what they were seeing with their home country operations. A totally new concept to the field of organizational ethnography, this study expands the boundaries of what can be identified as “ethnography”, and the ways in which it can be used. 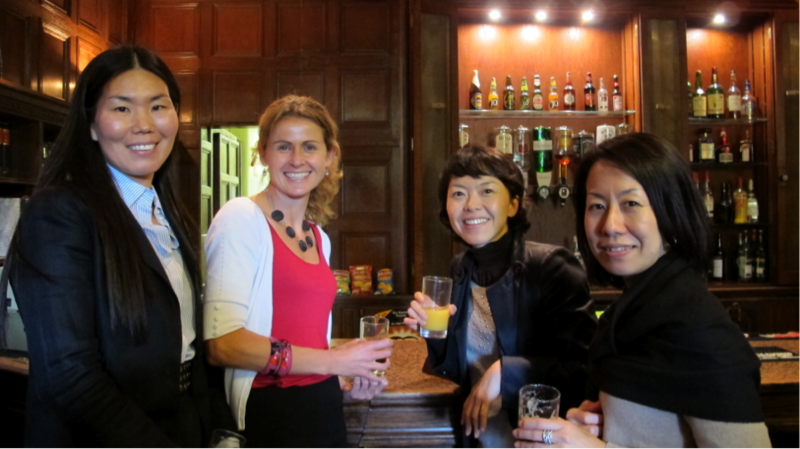 It was also unique given our use of a multinational ethnographic team of non-native speakers of English. From an organizational studies perspective, this project provided a unique research opportunity to operationalize the construct of the “bicultural bridge” –the essential element enabling multinational companies to stay competitive in the global market. We identified three major skill sets which are essential for members of multicultural teams to serve as these “bicultural bridges” interpreting and mediating knowledge exchange across borders. These skills were: cognitive complexity, perceptual acuity, and reflexivity. The first skill set of cognitive complexity is an indicator of a person’s perceptual abilities. A person who is cognitively complex tends to perceive nuances and subtle differences which a person with a less complex cognitive structure for the task or activity, does not. This kind of a person sees the forest as well as the trees. This skill requires the ethnographer to zoom out from a phenomenon to see it in its context. Perceptual acuity, the second skill set, refers to one’s ability to notice details which others may take for granted, such as non-verbal behavior, or the feelings of others. As the definition reveals, this dimension contains aspects of both extraversion and openness to experience. This skill requires the ethnographer to zoom in on a phenomenon to examine it up close in all of its details. Finally, reflexivity is the ability to reflect on one’s own sensemaking and relate this back to context-specific, situated, tentative understanding. 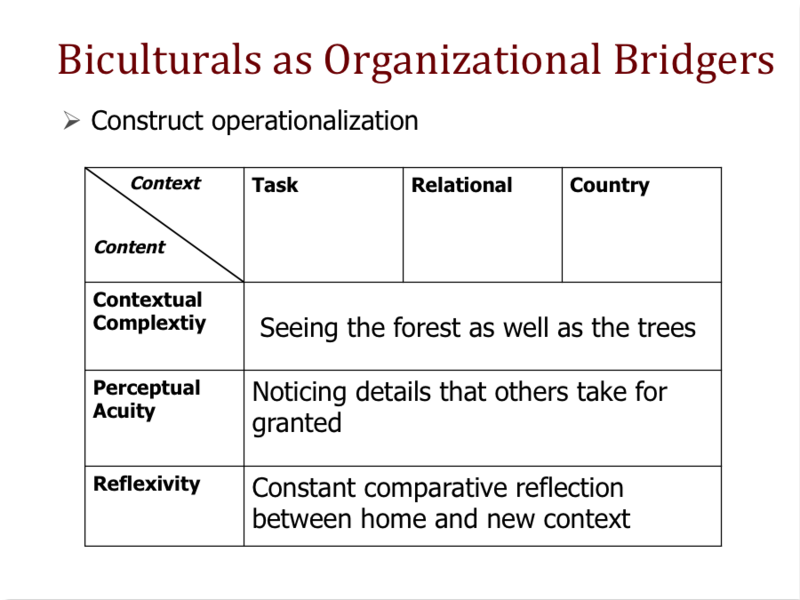 These dimensions of bicultural bridges suggest that the most useful attribute for managers in a cultural bridging role is not knowledge of other cultures, but a set of intrinsic and developed skills, related to observation and analysis of situations. This skill requires a zooming in and out of a phenomenon in its own context as well as in comparison with what it signifies in the ethnographer’s culture-of-origin. Training the Asian team members to leverage these skill-sets was not always easy. Perceived local host-country interests of the Asian subsidiaries sometimes got in the way of authentic assessments and sharing of insights. 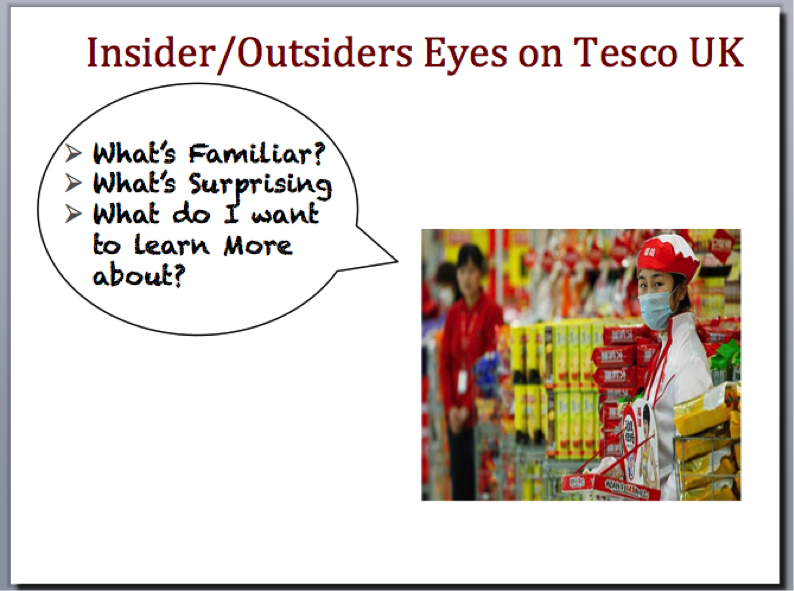 For example, one of the Chinese team members was incapable of sharing subjective comparative viewpoints in regards to how Tesco UK might improve their home country processes for fear of undermining her home-country competitive advantage—local interests trumping global organizational gains. In general, getting Asian team members to openly discuss their subjective opinions was not easy. Often the academic team found ourselves asking the Asian team members to reflect further on how they felt about what the behaviors and processes they witnessed on the shop floor vis à vis their home country operations. How did they feel about fish-mongers only having been trained a day before they actually were entrusted with cutting up fish? Is this the norm in their countries of origin? Is throwing fresh produce onto the counter displays willy-nilly something that is acceptable at home for them? We needed to prod the Asian research team to weigh in subjectively on what they were witnessing as in-house ethnographers. Their perspective was what Tesco was after! 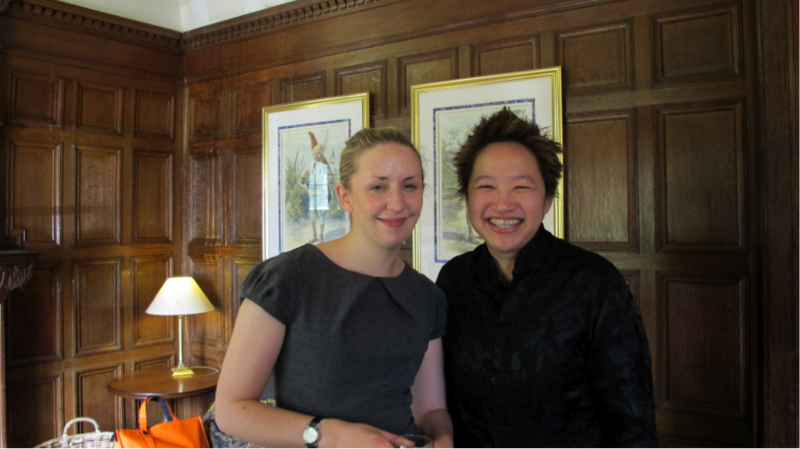 We were also interested in how the Asian insider ethnographic team members as individuals were coping with this challenging task and which characteristics and skills they were having to draw on. Rather surprisingly, the top performers—in terms of the insights that they brought to the reinvigoration of Tesco—had three things in common: 1) they were the least fluent in English, 2) they had never left their home countries before, and 3) they had been working at Tesco the longest. Significantly, this indicates that a person’s experience outside of their home culture is not necessarily a panacea, and can even be counterproductive to having strong insights into cultural differences and operating as an organizational bridge. Furthermore, a person’s ability to use the lingua franca (English, in this case) is less important than their fluency in the corporate language and identification with the organization. Clearly, these results pose many interesting questions about how managers can be trained to be ethnographers and the related issues of time, method and language. The strategic dimension of this project was perhaps the most innovative of all. That a large multinational enterprise should choose to use internal resources to cast a critical eye on its own operations and culture and that it should use ethnographic method to do so is potentially very meaningful for the fields of anthropology and management. Tesco’s new global strategic initiative includes the use of bicultural insiders to bridge and integrate Tesco across country organizations, as well as the deployment of lower level managers with deep knowledge of local contexts. In doing so, the firm is pioneering a new approach in employing a more multi-directional strategy to knowledge sharing, learning from global subsidiaries, and leveraging knowledge from context-bound practices throughout the firm’s global footprint.